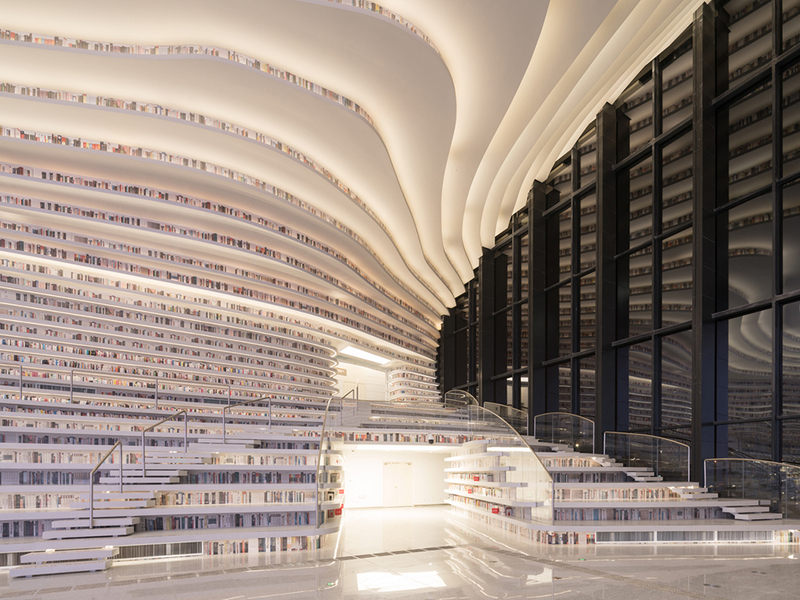 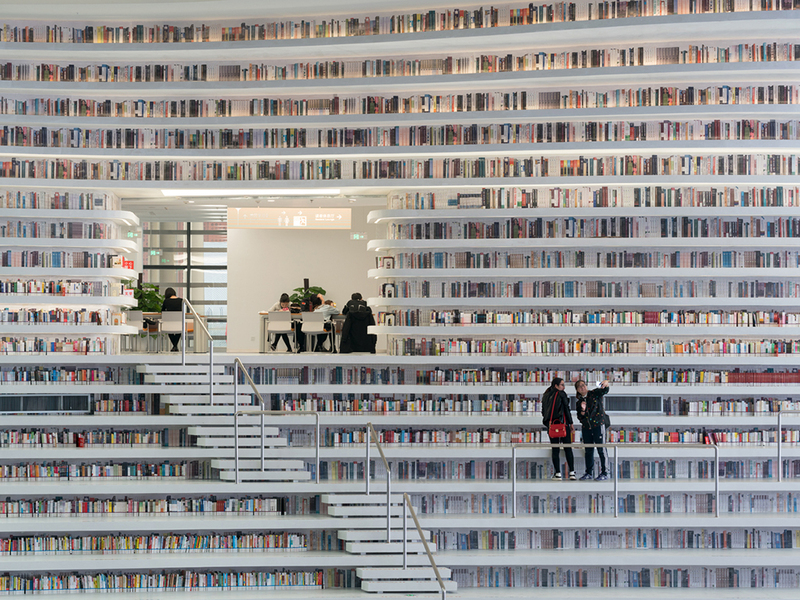 MVRDV have, with the Tianjin Urban Planning and Design Institute (TUPDI), designed Tianjin Binhai Library as part of a larger plan to provide a cultural district for the city. 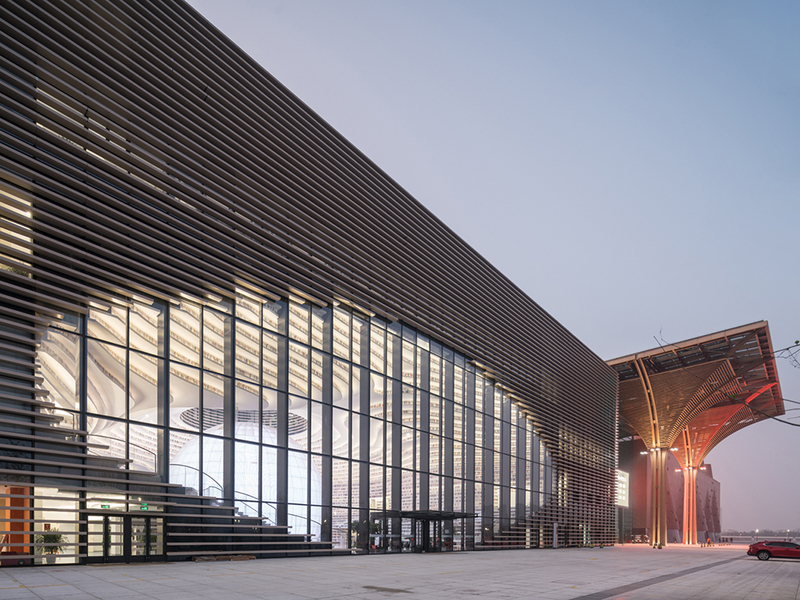 The building acts not only as an education centre but also as a connector from the park into the cultural district. 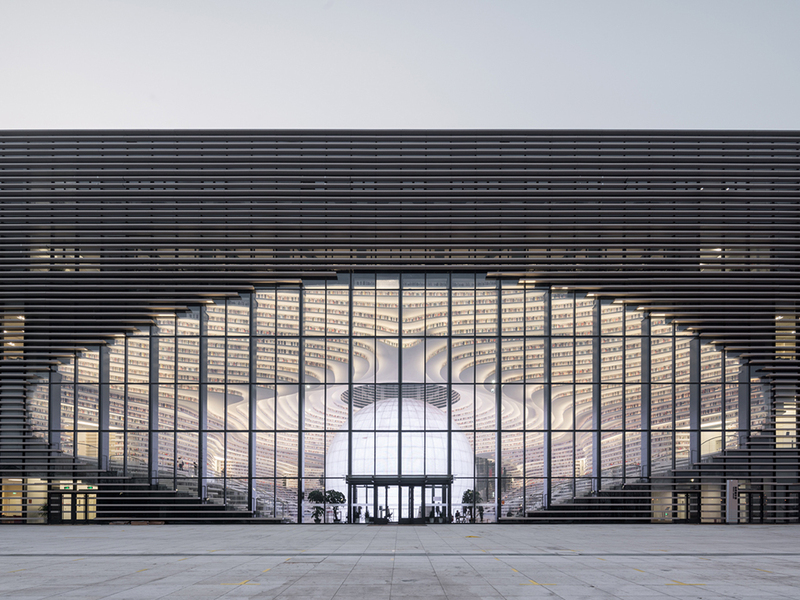 An oval opening punctured through the building is propped open by a mirrored sphere (The Eye), which houses an auditorium and acts as the central point and a folly in the building. 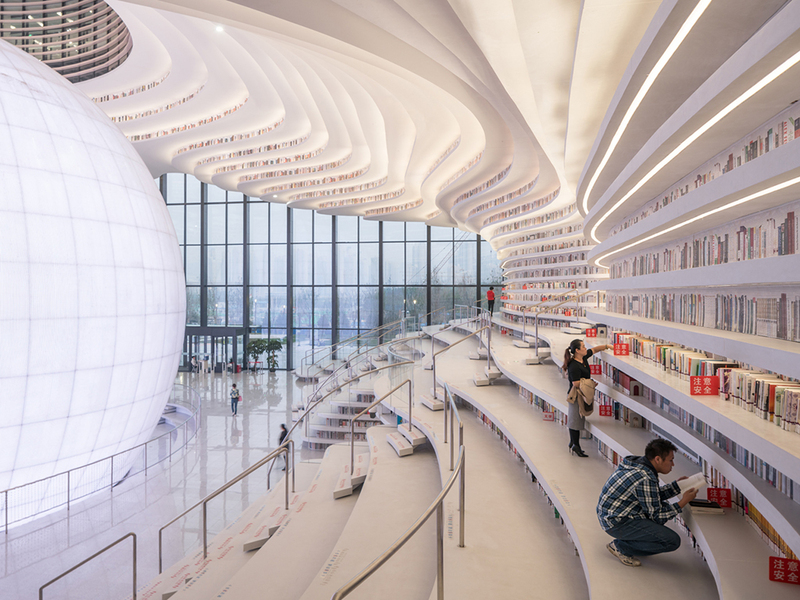 Terraced bookshelves that echo the form of the sphere create an topographical interior landscape whose contours reach out and wrap around the façade. 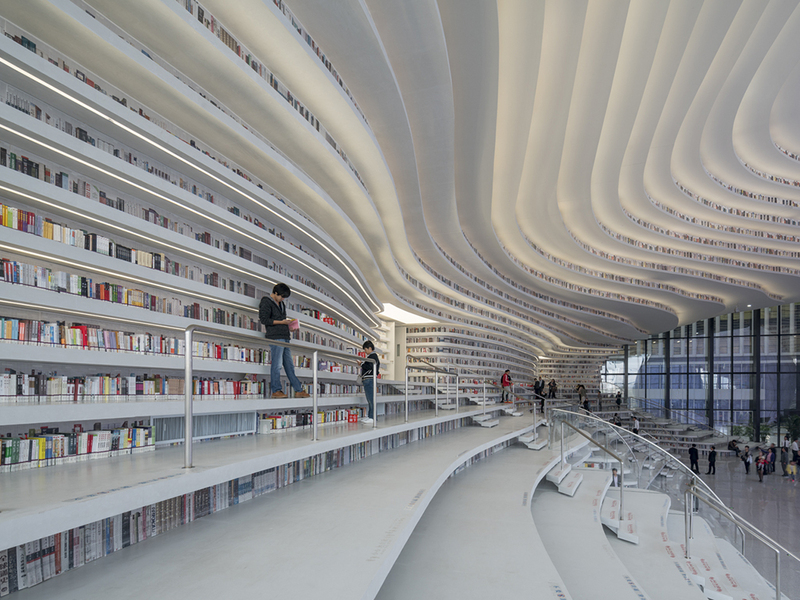 In this way, the stepped bookshelves within are represented on the outside, with each level doubling up as a louvre. 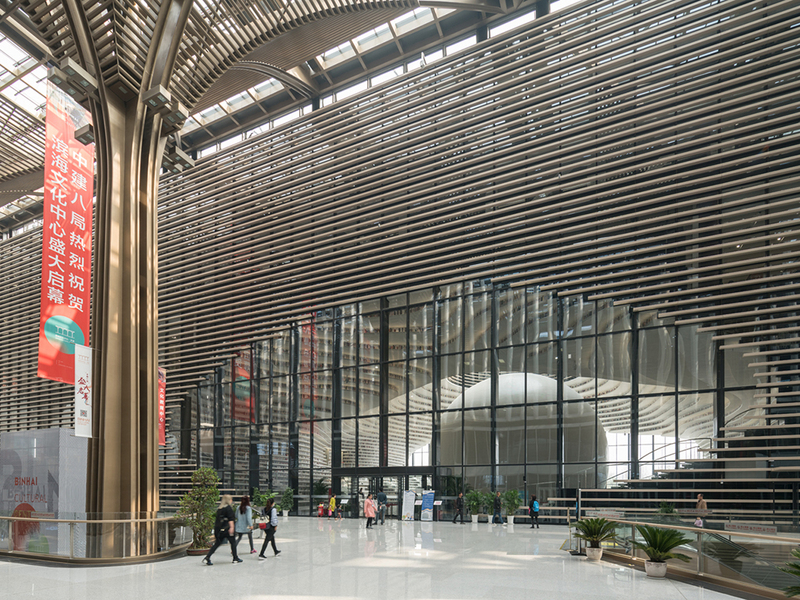 The five levels of the building contain an extensive program of educational facilities. 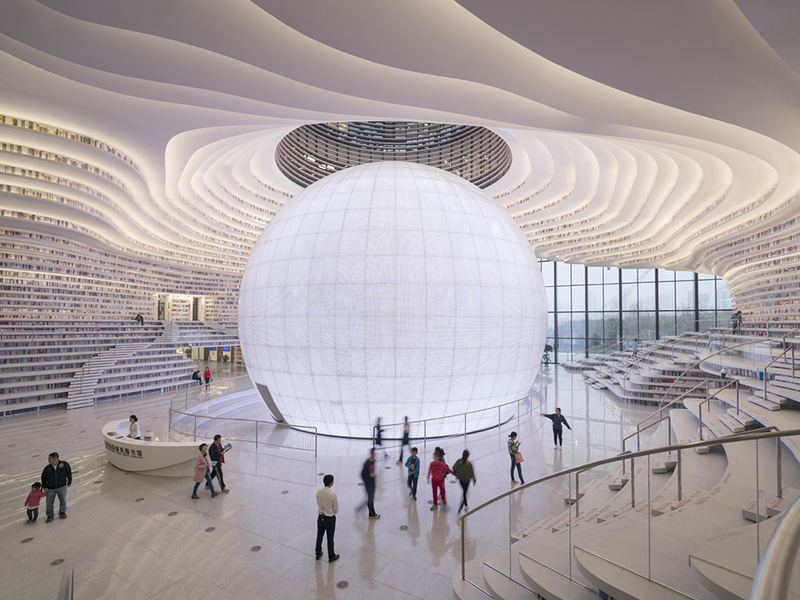 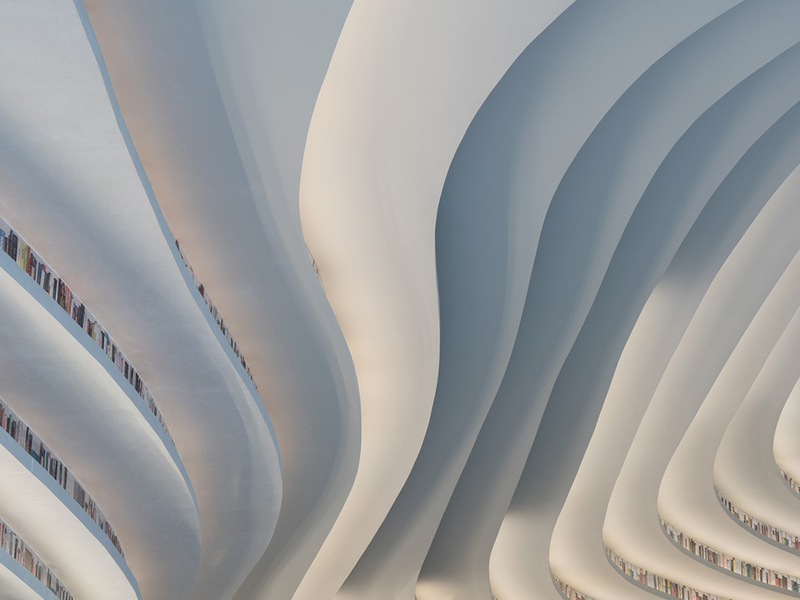 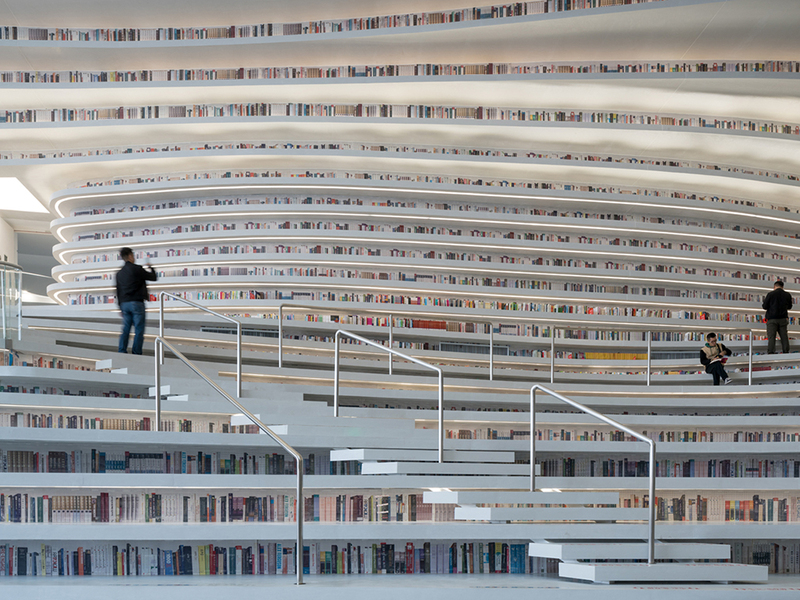 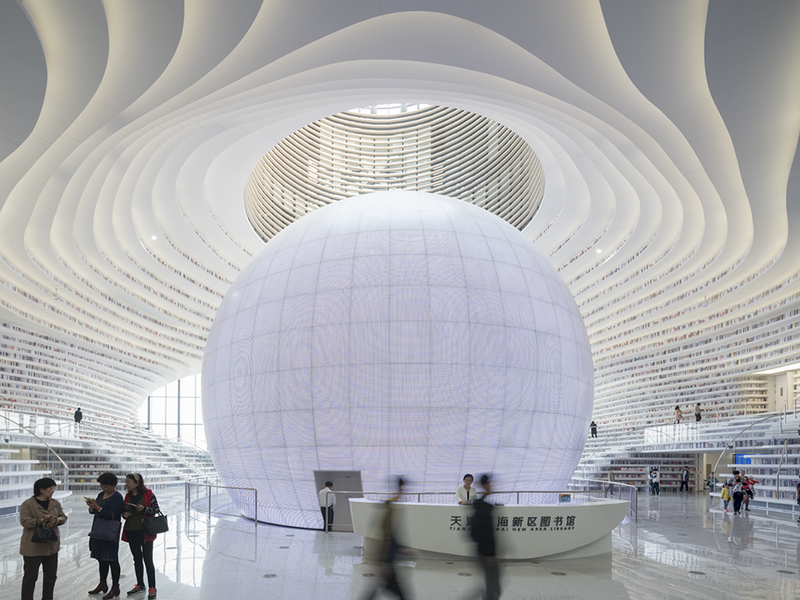 Tianjin Library is part of German architects GMP’s masterplan. 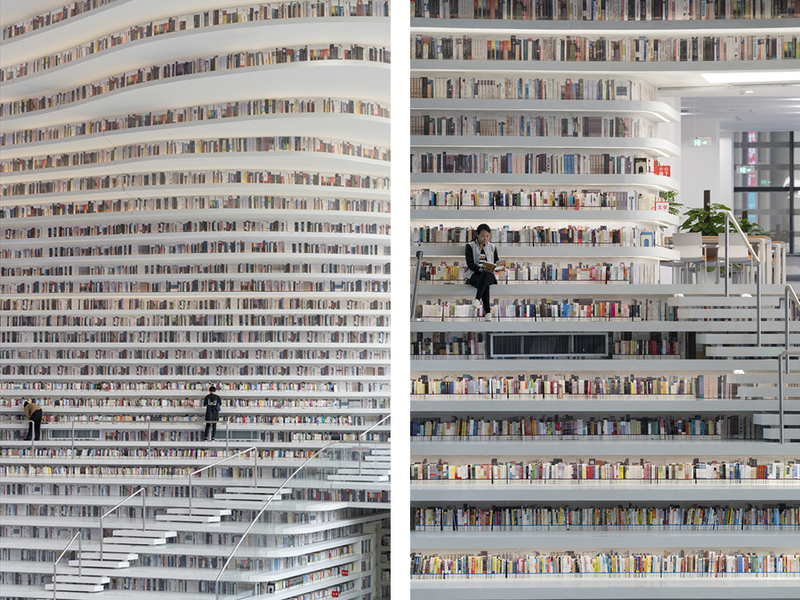 The library’s outer volume was given in the plan. 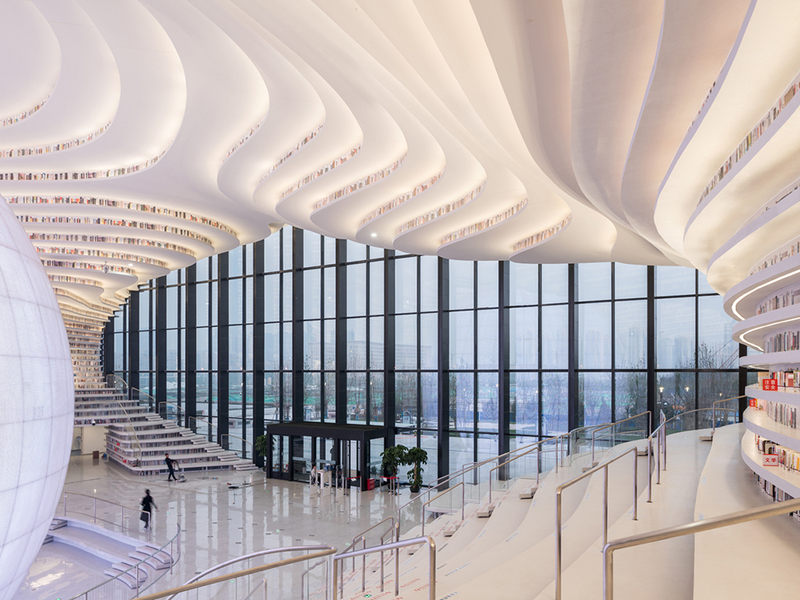 The futuristic library sits within a sheltered gallery, topped with cathedral-like vaulted arches, which winds its way throughout the scheme.